In a complex industry, we keep it simple. Let’s make the process easy! Service levels are established based on the needs of the Association. Follow the guide below and HMS can easily understand and meet the requirements of your community. All packages begin with accounting services. 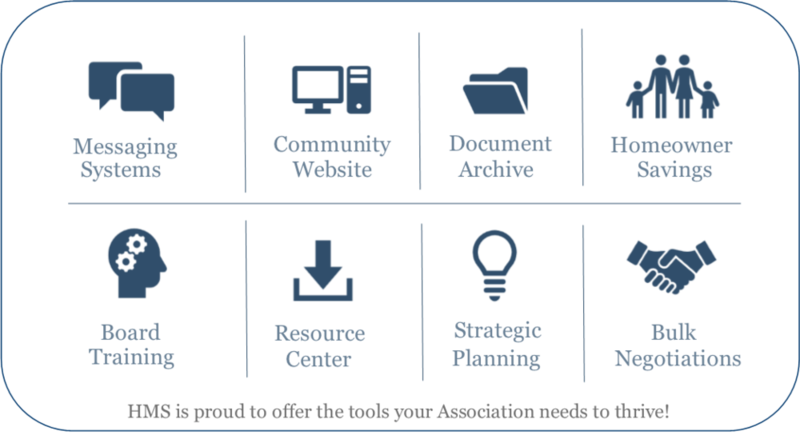 Knowledge about the Association’s financials is a critical element in terms of properly managing all other aspects of the community. This section addresses the number of predetermined Association visits necessary to manage the property. It is based on the Board’s wishes, the average workload, and current volunteer participation. Multiple industry leading programs are available to ease Board workload and enhance efficiency. Please take some time to consider each option, as many are available at no cost to the Association. 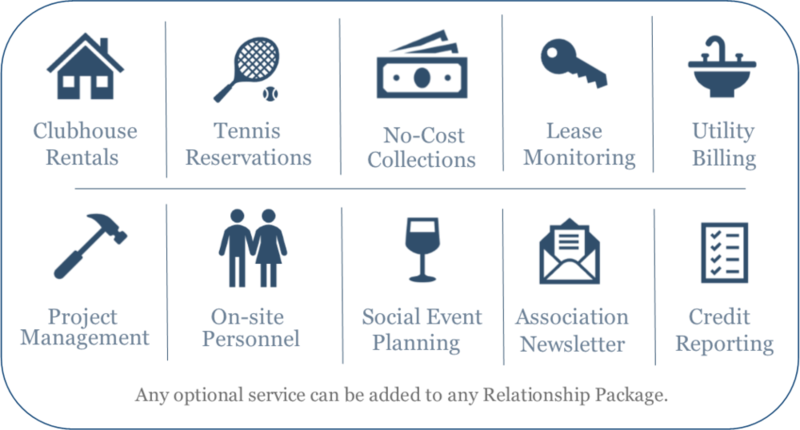 All HMS clients enjoy a wide variety of complimentary services. Your nest deserves the best!